Great no iron shirts! Love the way they fit! Response from Charles Tyrwhitt: At Charles Tyrwhitt, we do understand that some collar types may not be suited to everyone. 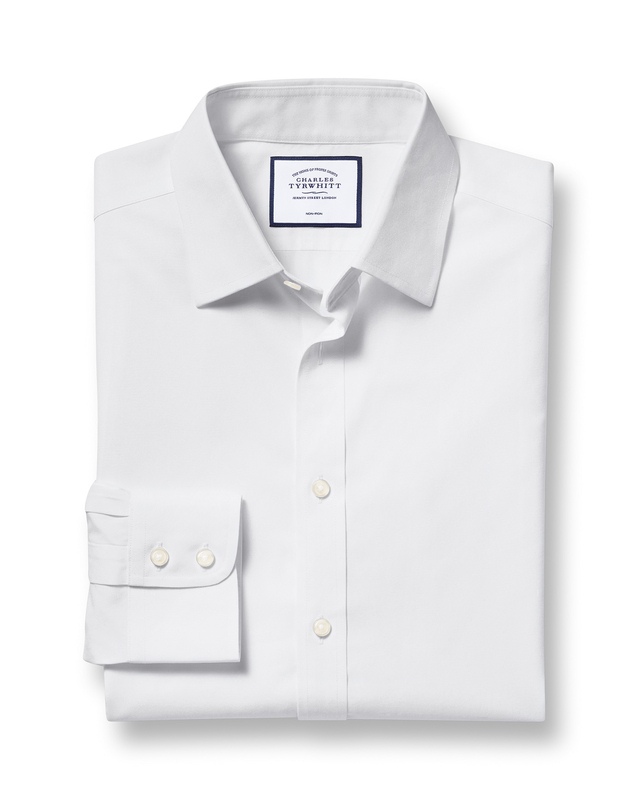 In reference to our white poplin shirt, this is offered in both the classic collar and the spread collar. We would love for you to be happy with the shirt you have ordered, so you are of course more than welcome to exchange this item for something more suited to your taste. I am also sorry you have felt mislead by our promotions and pricing. Please do share any further comments you have regarding this so we can resolve this for you.